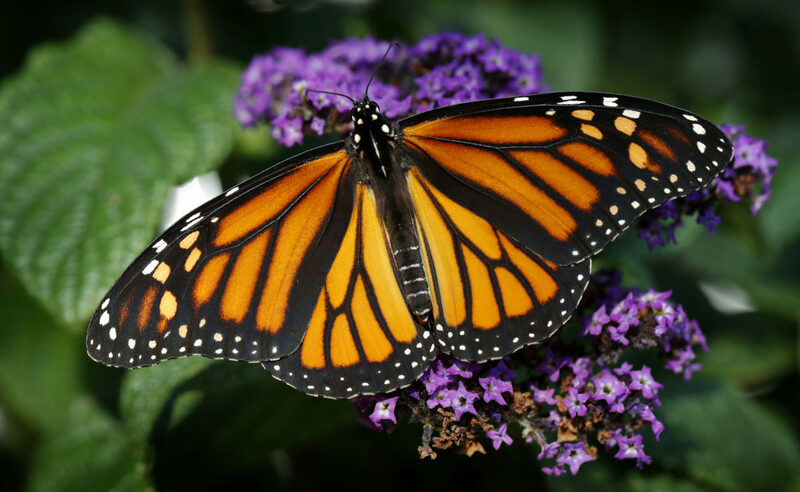 HARLINGEN — Valley naturalist Ken King, co-author of Plants of Deep South Texas, says dramatic annual fluctuations in numbers for a butterfly species like monarchs are more the rule than the exception. As much media attention as monarchs receive, here in the Rio Grande Valley they aren’t very numerous, and the ones here are around all year — they’re non-migratory. “Most people who see what they think are monarchs are the queen,” he said of a common and similarly colored butterfly species here. “We have monarchs but not like you never see just the masses of them on the trees. King says the monarch migration routes from their wintering habitat in Michoacan, Mexico, and then back north into the United States and Canada, tend to be farther west. Monarch caterpillars feed exclusively on milkweed plants, of which we have at least 14 species here in Deep South Texas. The most common milkweed species Valley-wide is climbing milkweed, funastrum cynanchoides, said Texas Master Naturalist Christina Mild via e-mail. This easy-to-grow vine shows up in many places as a volunteer, and does particularly well on fences, she added. But King cautions against overhauling your garden only to feed hungry monarch caterpillars. “To help all wildlife you just need to plant as much diversity as you can of native plants,” he said. “That’s going to help everything. I hate it when people want to focus on one species. And monarchs get all the attention and there are hundreds of other butterflies that we have here that are just as worthy of focus and attention, but nobody knows anything about them.